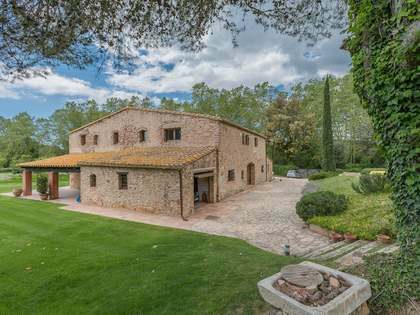 A more ideally located masia would be hard to find. 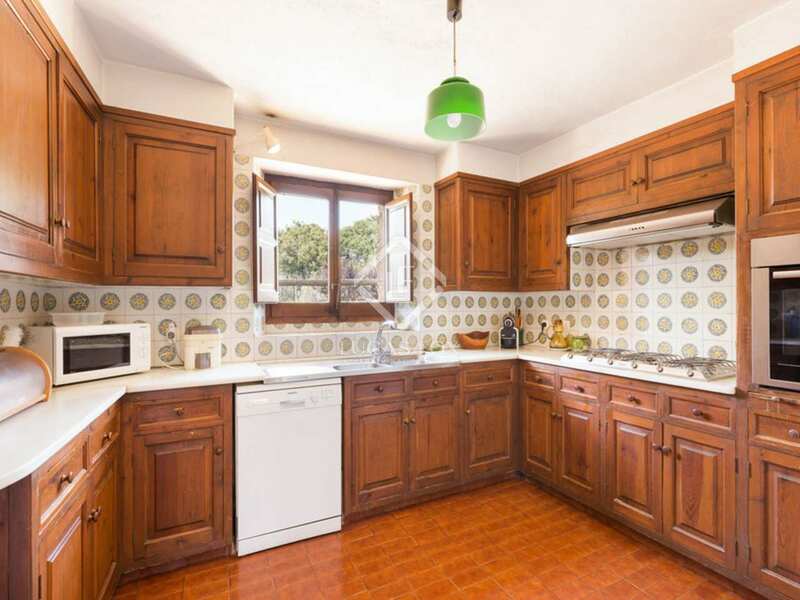 The property is within walking distance of the beautiful medieval village of Pals in the Baix Empordà and just a few kilometres from the nearest beaches of the Costa Brava. 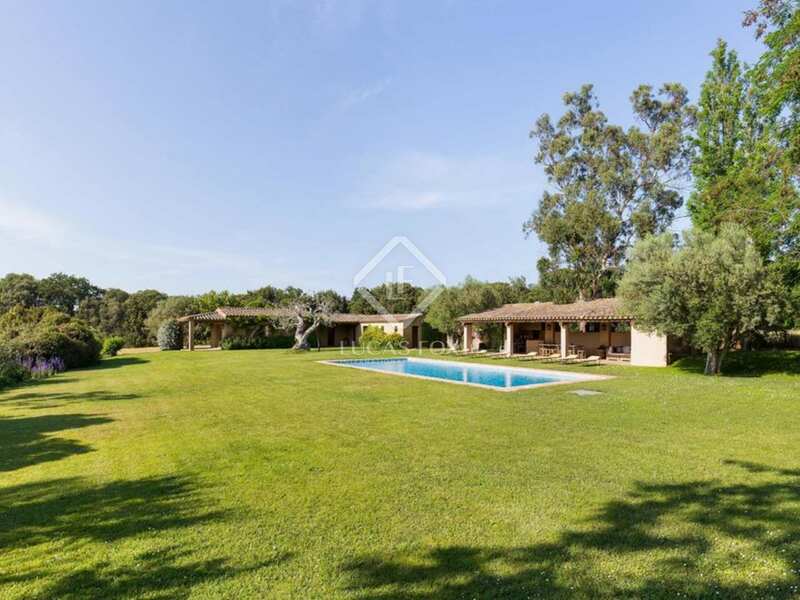 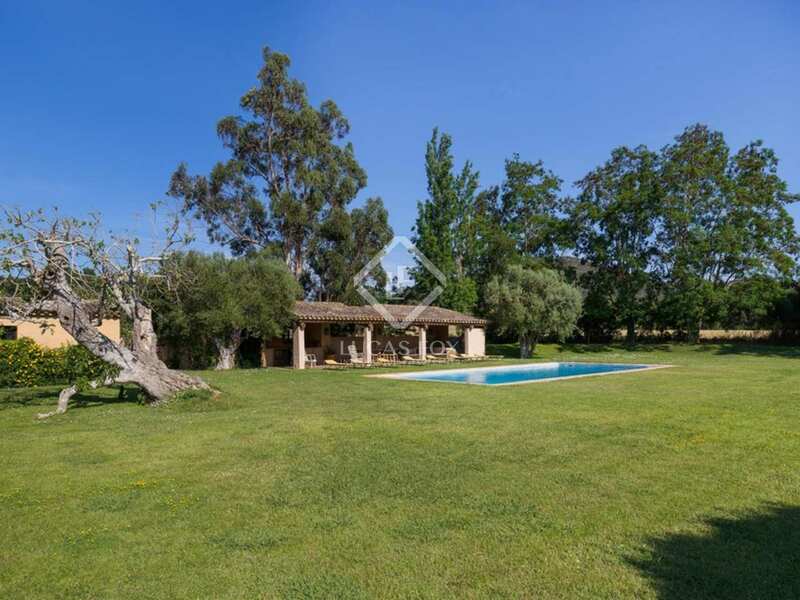 The property is also very private and the location is tranquil and surrounded by nature. 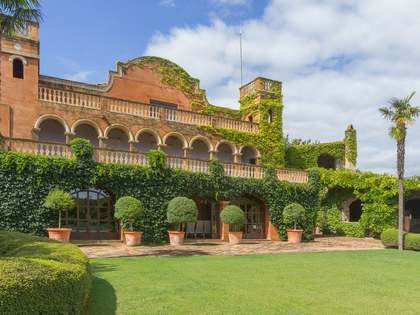 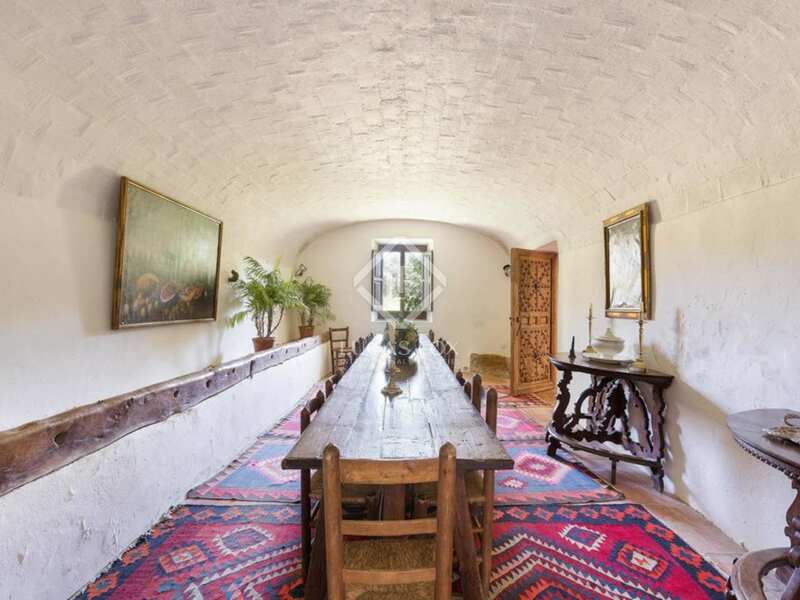 This historic masia, originally dating from 1571, has been subsequently extended and renovated over the years (last renovated by Pepe Pratmarsó in 1974). 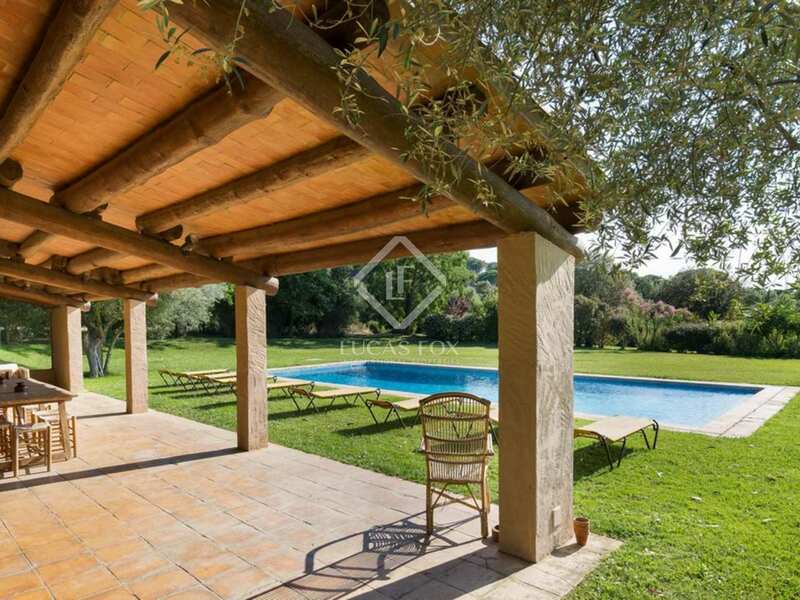 With 5 bedrooms and 4 bathrooms in the main house in addition to a 2-bedroom housekeepers' cottage and 2-bedroom poolside cottage, this is a spacious family home in a stunning setting. The ground floor is composed of 2 reception rooms, one with a fireplace, leading to a beautiful exterior patio, a large dining room and a kitchen with a breakfast area. 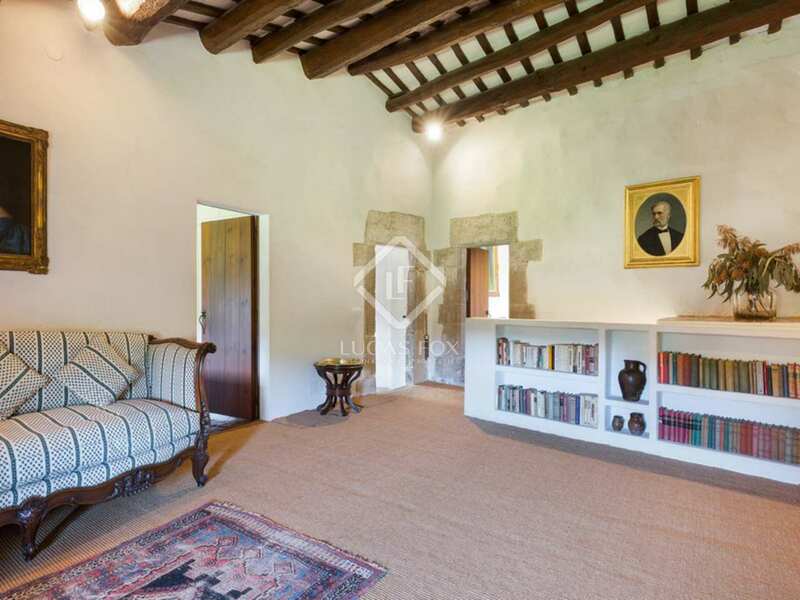 There is also a guest WC and a service bedroom with a bathroom on this floor. 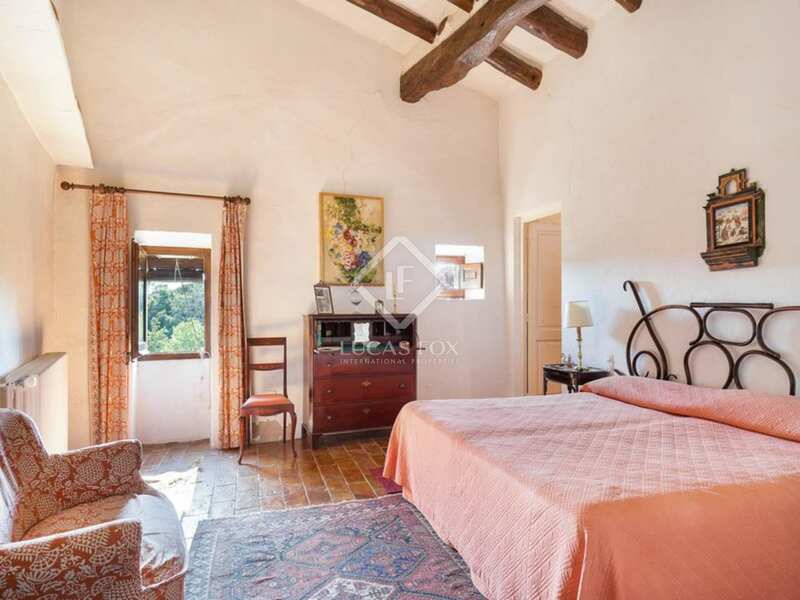 The 5 bedrooms are located on the first floor of the property. 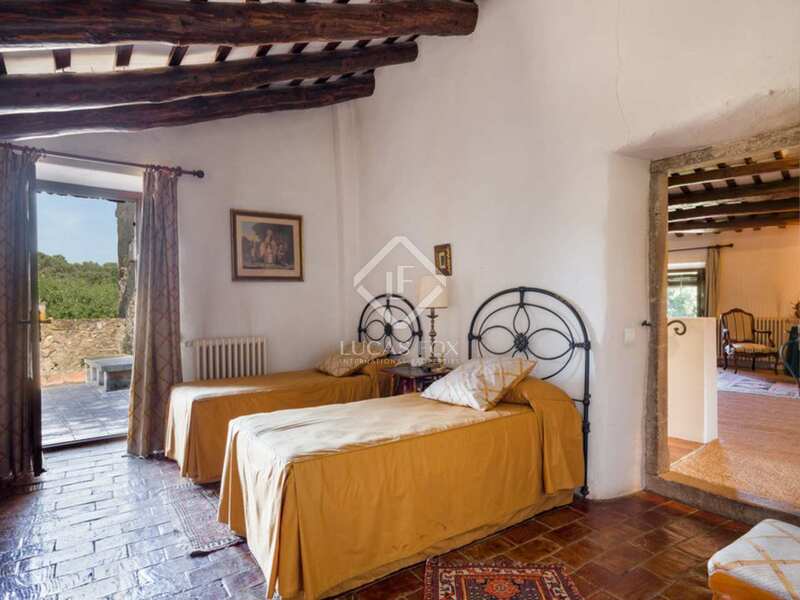 There are 2 en-suite double bedrooms, one with access to a large terrace offering stunning views, a double bedroom with a toilet and shower and 2 further double bedrooms with a shared bathroom. 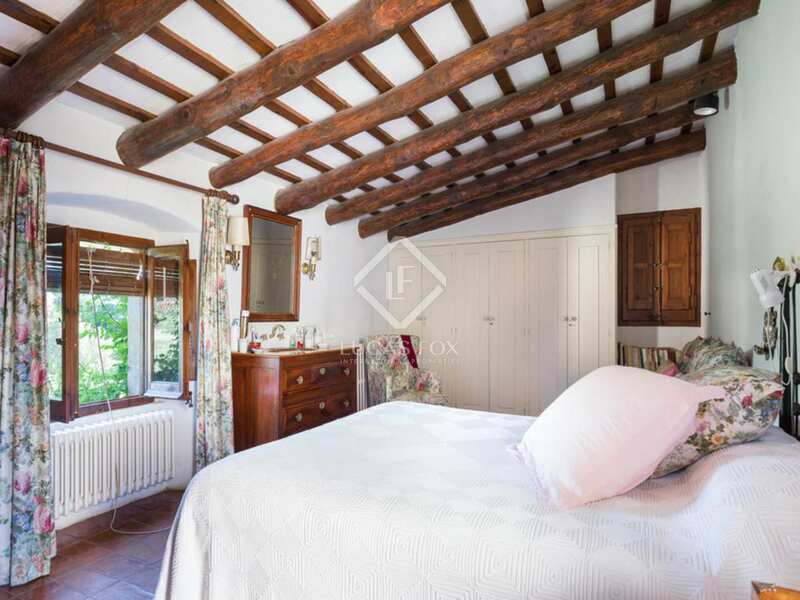 The housekeepers' cottage measures approximately 90m² and offers a living room with a fireplace, a kitchen, 2 bedrooms and a bathroom. 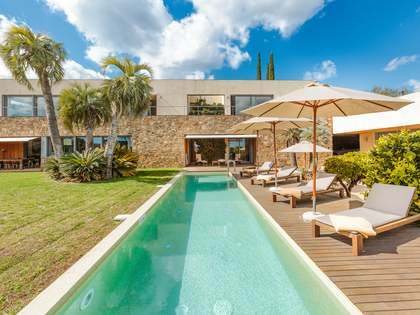 The excellent outdoor space includes a lawn garden with a 16m x 5m pool as well as a poolside dining and BBQ area. 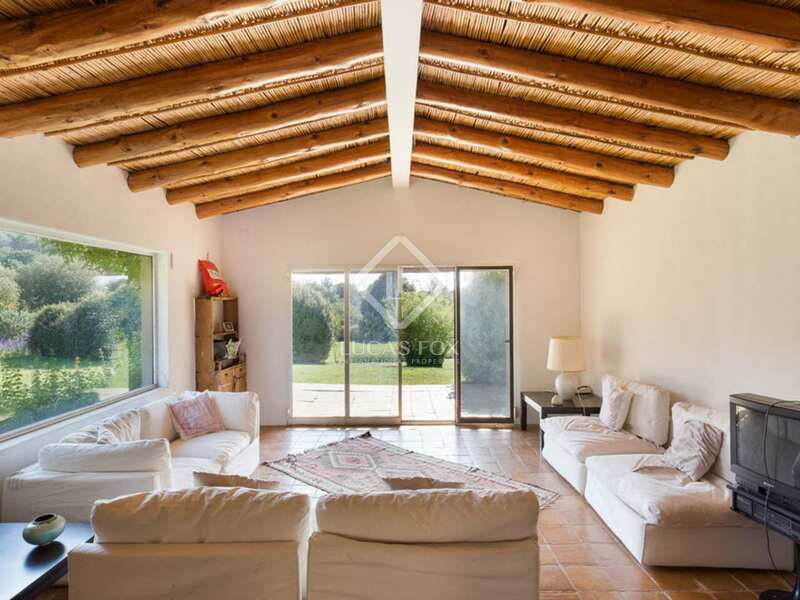 The single storey poolside house has 2 double en-suite bedrooms and a living room with a fireplace. 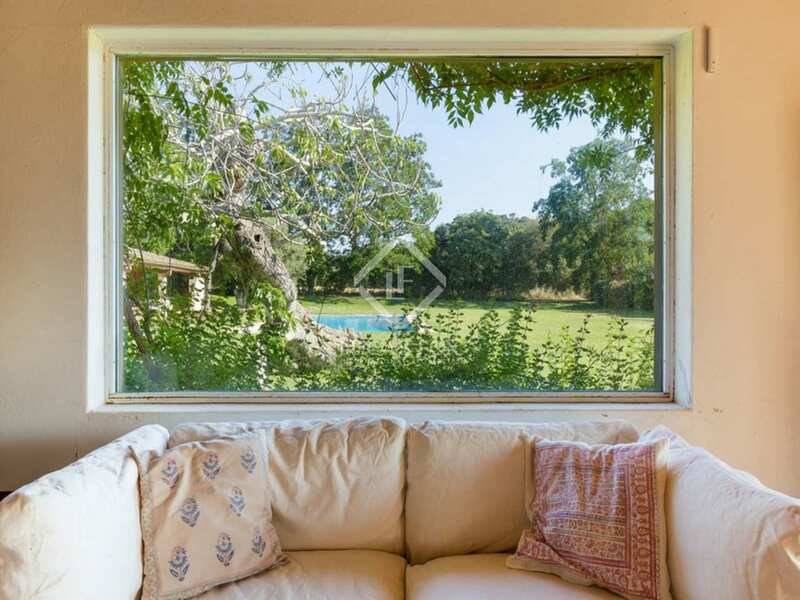 Furthermore the property has private fields and a fruit tree orchard. 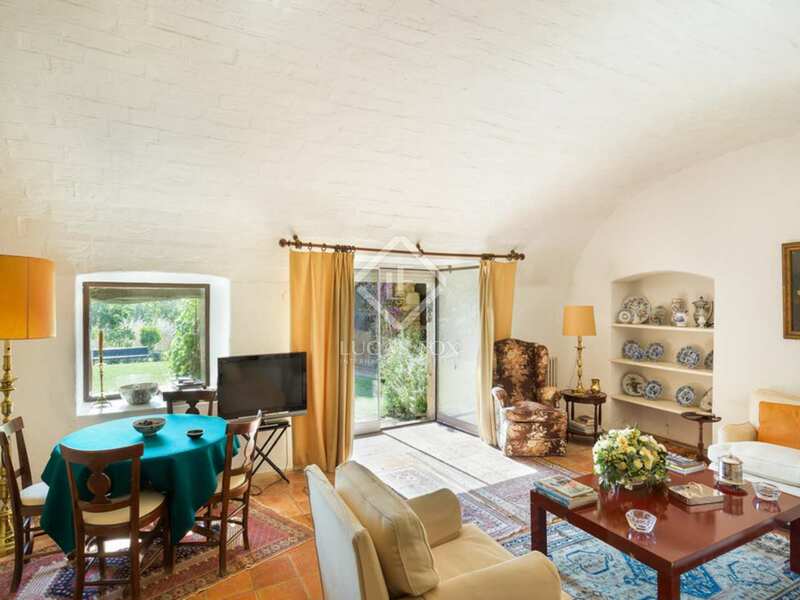 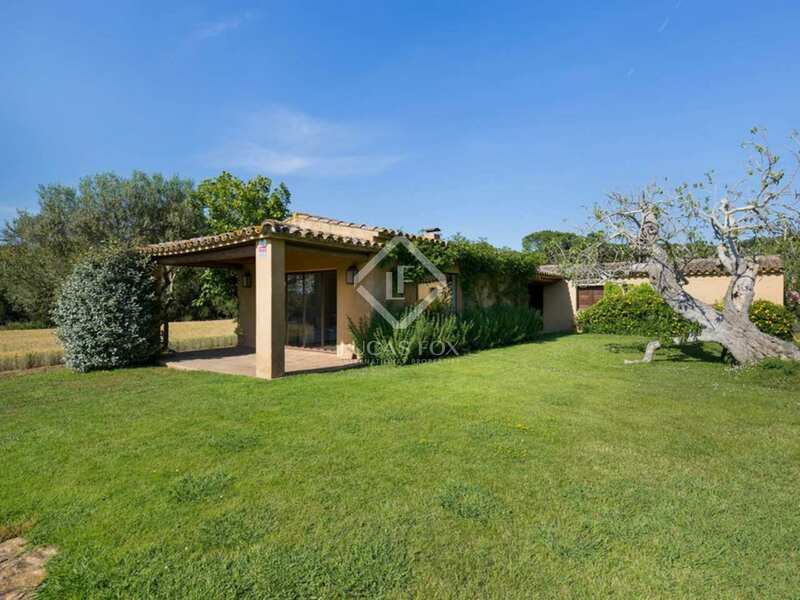 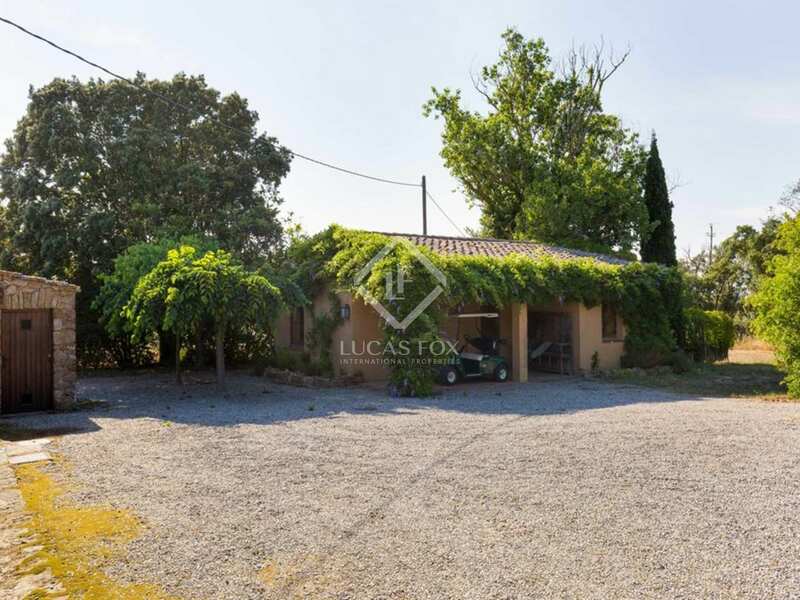 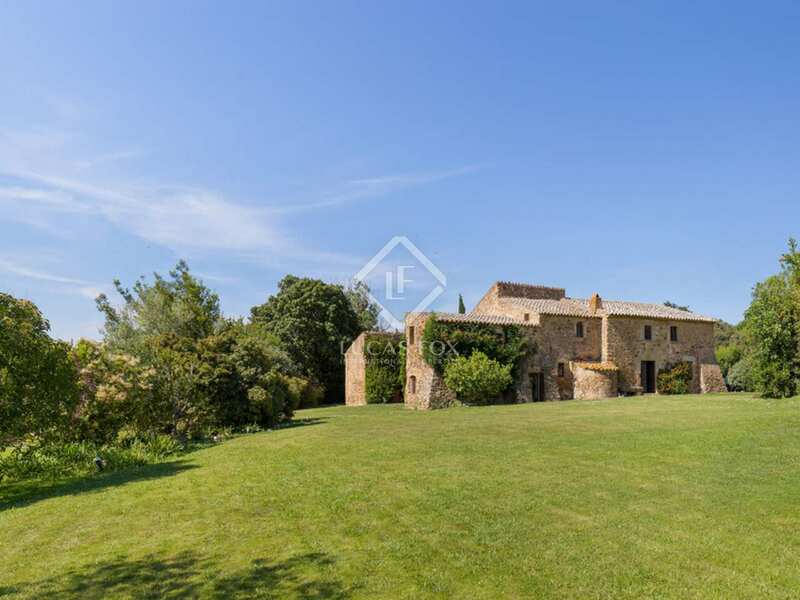 The property has been well maintained but would benefit from some cosmetic updating to create a truly special family home in the Baix Empordà. 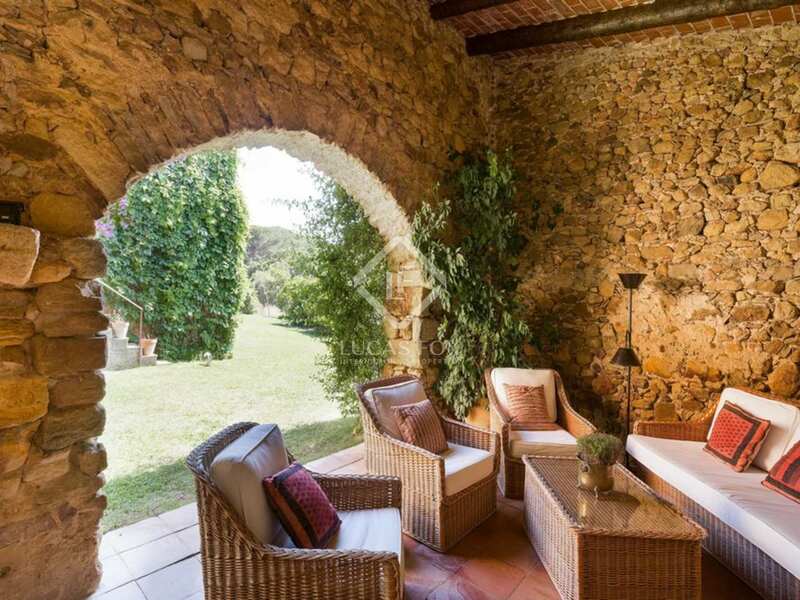 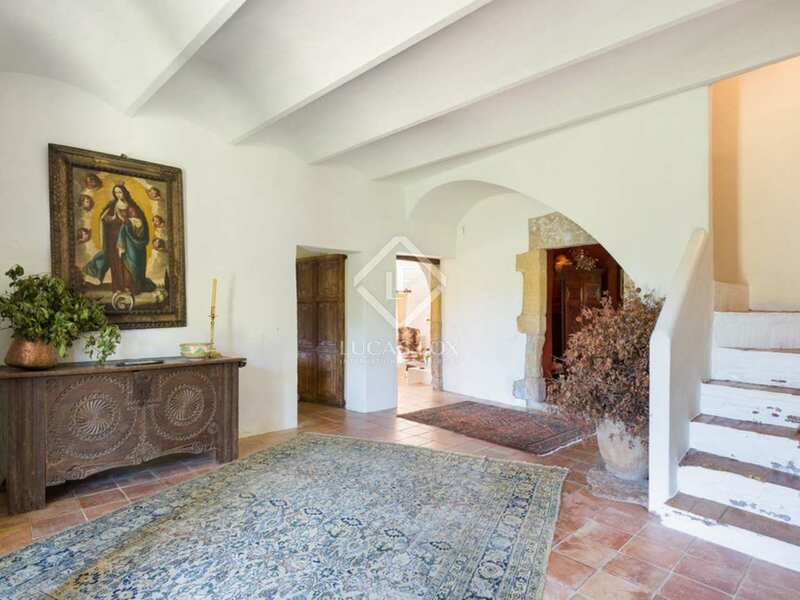 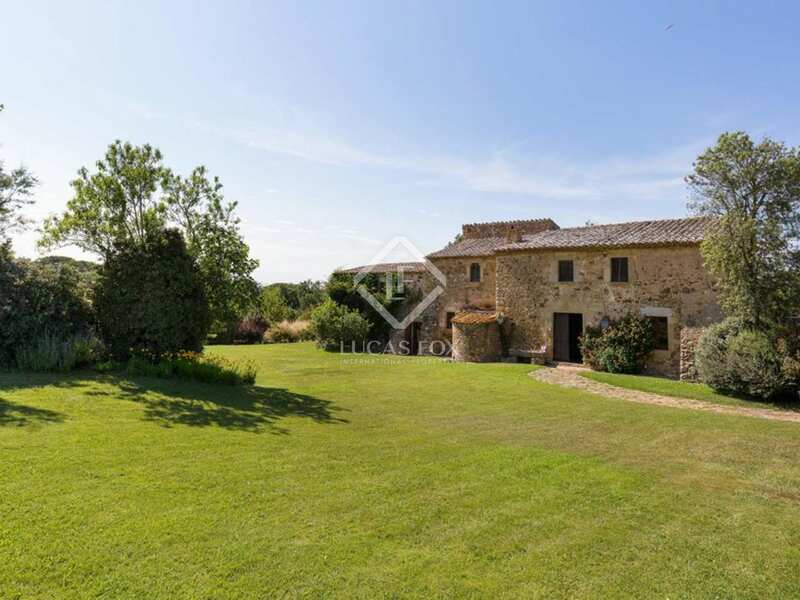 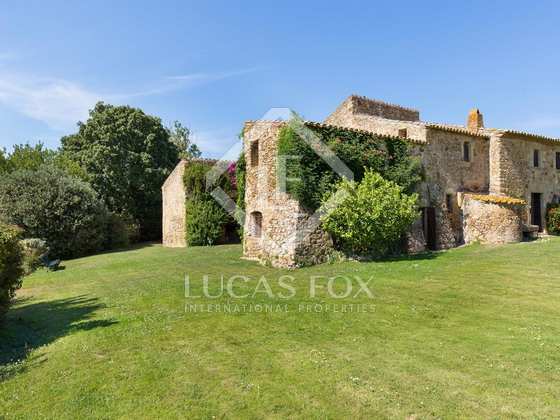 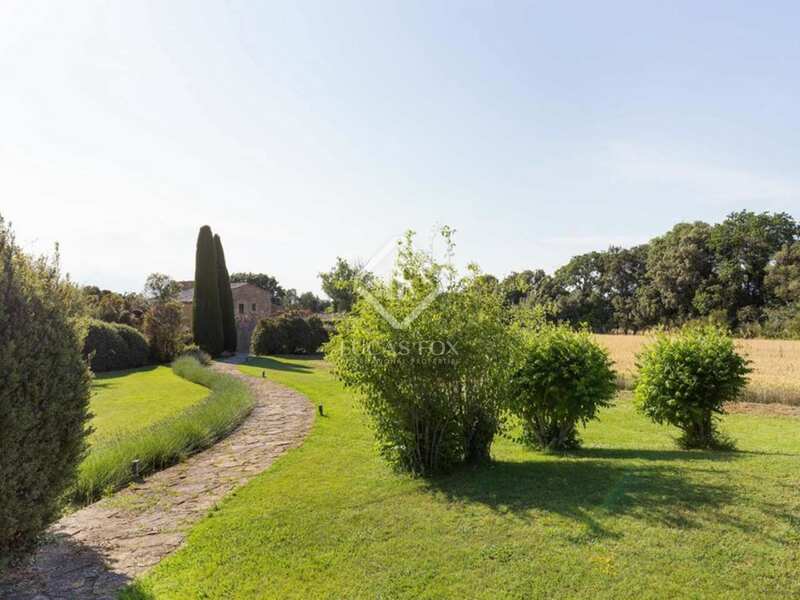 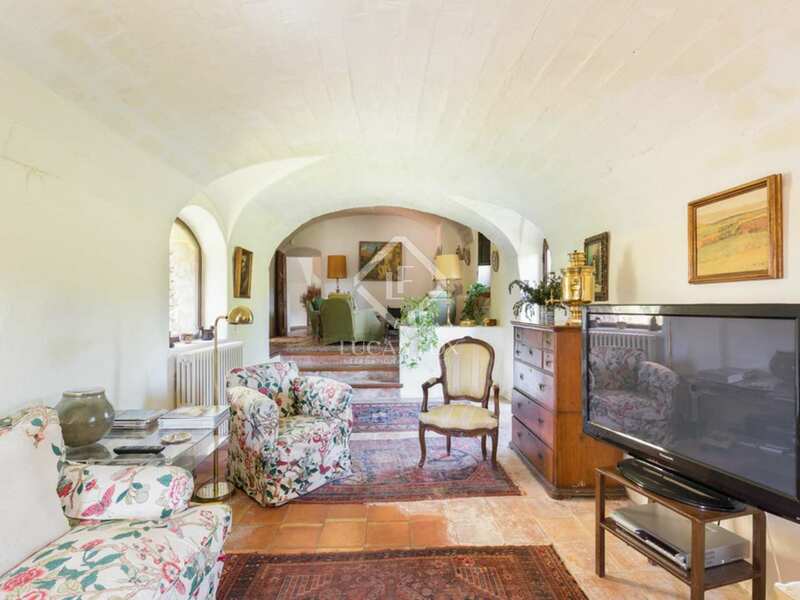 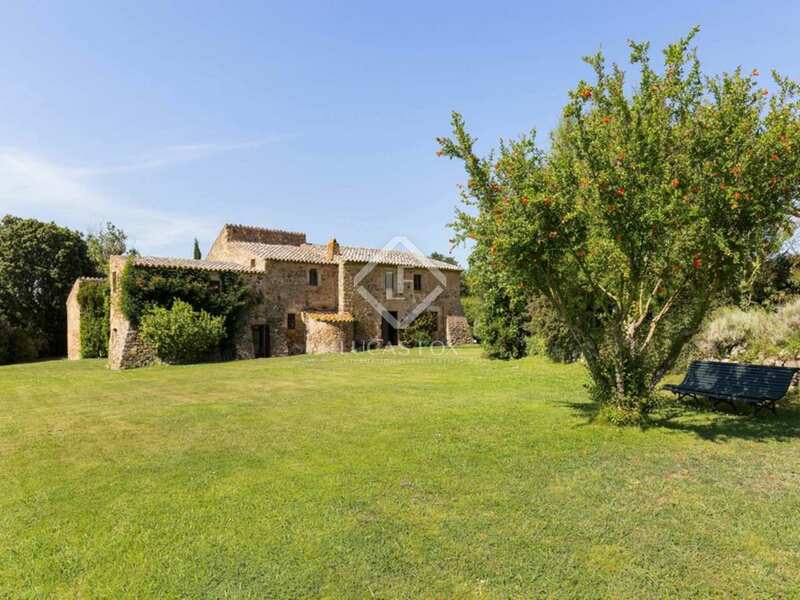 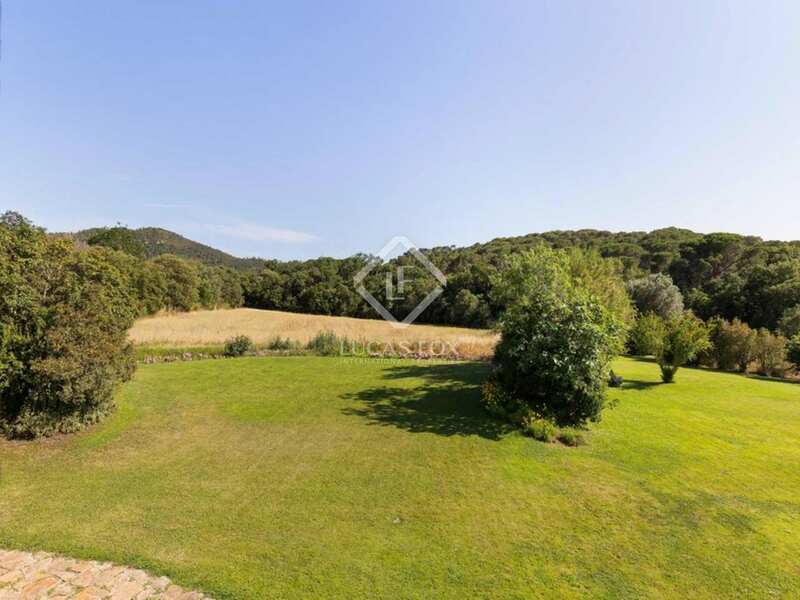 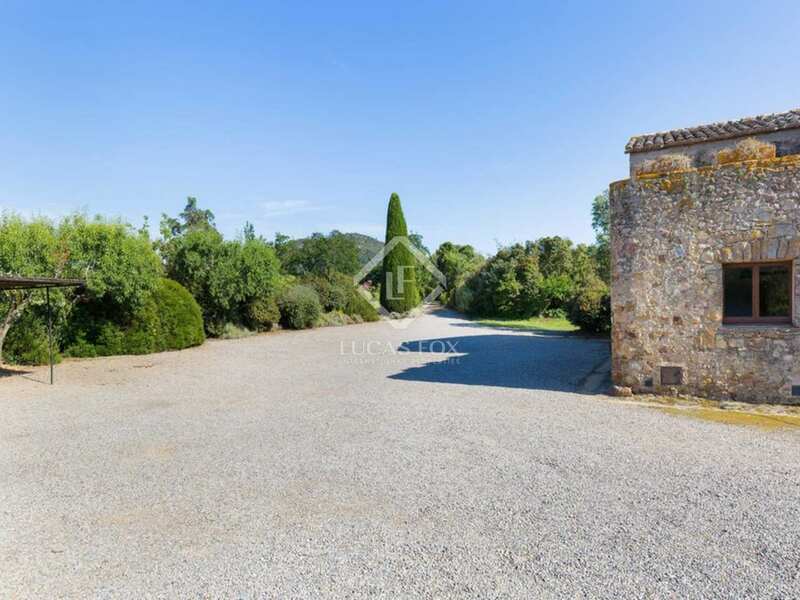 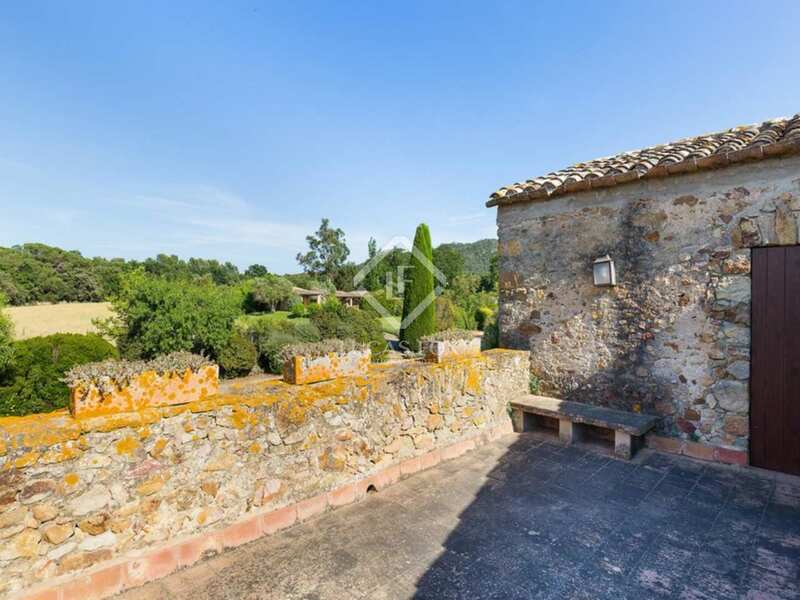 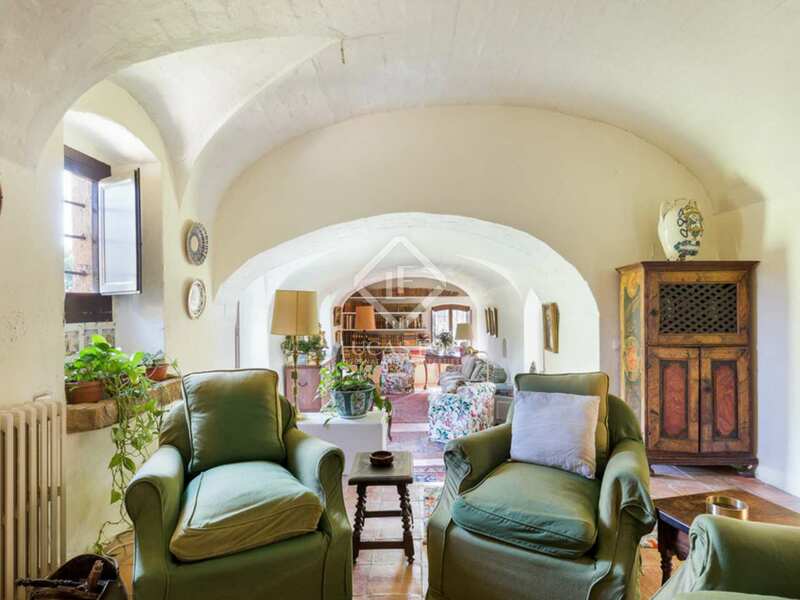 Property in an unbeatable location 1200m to the beautiful medieval village of Pals in the Baix Empordà, 5km from Begur and a few kilometres from the beaches of the Costa Brava. 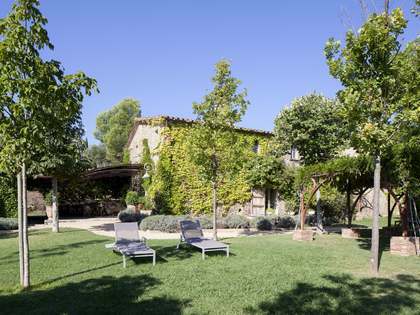 Girona airport is 55km away whilst whereas Barcelona city is at 130km. 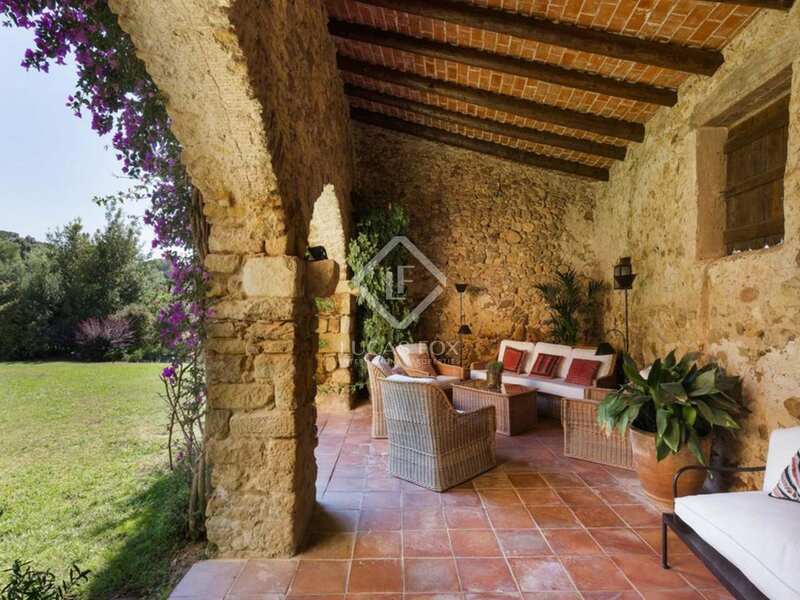 Renovated stone property for sale near Cruilles, Girona.